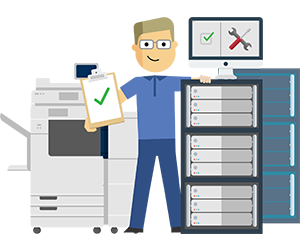 We offer a wide range of network analyst services to ensure that your print infrastructure is installed, connected and set up to help you make the most of your investment. Additional activities outside of the standard network installation can be offered – please contact us for more details & information on your requirements. Discover how our Network Analysts can support your business.